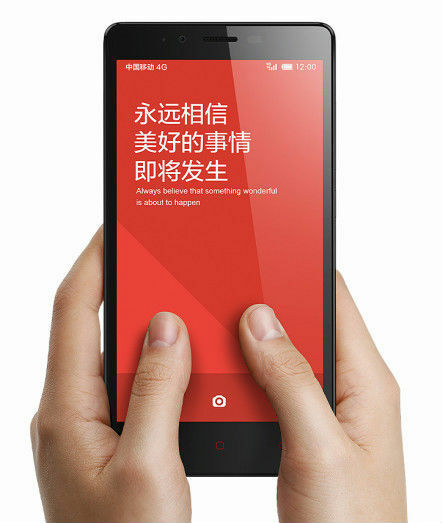 Popular Chinese smartphone manufacturer Xiaomi has just introduced 4G support in China for one of its budget devices, the Redmi Note phablet. This comes as Xiaomi has much to catch up in terms of 4G as more customers demand support for the speedier network — it only finally solidified 4G plans with the announcement of its new flagship smartphone, the Mi 4. In a Weibo post today, Xiaomi revealed that the Redmi Note with 4G support is lighter than its predecessor by 10 grams, comes with a 5.5-inch screen, and is powered by a Qualcomm Snapdragon 400 1.6GHz processor and 2GB of internal memory. It is also equipped with a 13-megapixel rear camera and a 3100mAh battery that should give you plenty of juice. Despite adding support for 4G LTE, the Redmi Note keeps its budget price tag — at CNY999 ($162), it should appeal to users seeking a 4G device at a low cost. However, there is also a big trade-off that customers may be unhappy with: the 4G Redmi Note doesn’t come with dual-SIM support. The Redmi Note with support for China Mobile’s LTE standard will go on sale on August 12, while sales for the China Unicom 4G version will start on August 26. There’s no word yet on when this latest device will make it beyond China. Xiaomi’s budget Redmi series, which includes the Redmi smartphone and the Redmi Note, have been a key factor in threatening Samsung’s foothold in China. A recent Canalys report found that Xiaomi overtook Samsung in terms of volume of smartphones in China in Q2 2014, with an analyst noting that the Redmi smartphone range was the driver of such growth. Indeed, the Redmi is Xiaomi’s best-selling device to date. At a recent launch event, CEO Lei Jun noted that the company had already sold 18 million Redmi handsets, while the Redmi Note had crossed more than 3.5 million units. A 4G version of the Redmi Note should help to continue Xiaomi’s momentum, particularly when considering that the only other 4G device in its range — the Mi 4 at $322 — costs about $160 more.